After Judge Larry Paul Fidler was forced to declare a mistrial at Phil Spector’s murder trial he beat his chest and told Spector and his lawyers he was going to force the re-trial to begin in 60 days. I was wondering just what the good judge was thinking when he was making unreasonable time requirement demands on a man who was on trial for his life. Lawyers can’t prepare for a trial where the evidence and its interpretation is of such a highly technical nature on any kind of fast track. You have to balance the monumental tasks assigned to the lawyers and their experts against their professional schedules. In addition to a pending 44 page defense moition seeking to oust Judge Fidler for his continually demonstrated bias, Spector’s lawyer, Doron Weinberg said he was filing a separate Writ sometime today. At some point in the coming months the challenge to Judge Fidler’s continued participation in the case will have to be fully briefed and argued. Of course a ruling must follow. A September trial date was discussed but that’s not realistic either. Perhaps in December or January the stars may align for The People Vs. Phil Spector-Take Two. I have followed this case since the day Lana Clarkson died from that inter-oral gunshot wound. Until after the first trial I was never acquainted with Phil Spector or any of his lawyers. I have made myself available as a licensed private investigator for defense purposes because the evidence indicates Ms. Clarkson died by her own hand. To date they have not utilized my services. Most defense attorneys won’t work with an investigator they don’t know. Defense teams can be infiltrated by people really working for clients other than the accused. That, in fact happened already to Phil Spector during this investigation and litigation. I strongly belive that Spector only became a suspect after Alhambra Police unnecessarily resorted to shocking Phil Spector, a senior citizen twice with Taser stun gun. The subsequent indictment against Spector did cloak the City Of Alhambra with immunity from any lawsuit. I make no secret that I ardently support Spector as a man wrongfully charged with murder because of a flawed investigation and prosecution. I’m not now nor have I ever been Spector’s employee, friend, public relations flack or investigator. I’m simply an investigative blogger demanding that Phil Spector gets a fair day in court. 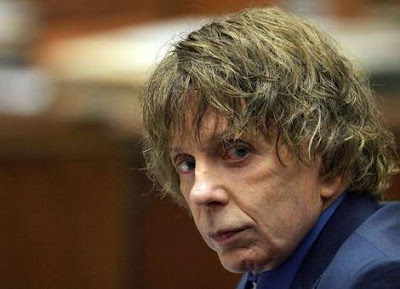 I’m keeping my options open to help with the defense of Phil Spector in any future civil or criminal proceedings. Based on everything I have read it is my opinion that Lana Clarkson was a very nice woman I would have enjoyed having as a friend. OTOH I wouldn't spit on Spector's head if his wig was on fire. But I also have no doubt that Lana shot herself in the mouth for whatever reason. First, that is an extraordinarily strange shot for a homicide - almost impossible and virtually unheard of. Second, the forensics exclude Spector. This prosecution is a fraud and a violation of the oath of office of those prosecutors who have engaged in it IMO.